Written by admin in Help and Advice on Oct 28, 2015. 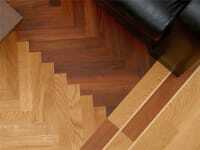 A number of times we get asked how do I choose a floor? 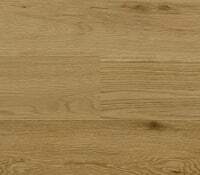 Now to many this may sound like a stupid question but in reality it’s a good question and it needs to be answered by good information which is clear and concise. 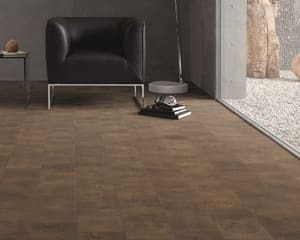 With so many retailers and websites offering huge discounts on cheaply imported wood floors there is no focus on providing customers with simple advice that allows the customer to select the floor that suits their desired taste but also is also practical and suitable to their environment. 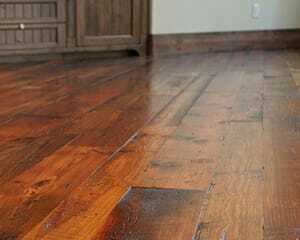 So a good point to start is the type of wood floor, in simple terms the question is what type of structure is better suited solid wood floors or engineered wood floors? 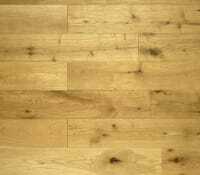 There are many answers to this question which only leads to many more questions being raised hence the reasons many people are confused between the only two options available so let’s try and keep this simple. 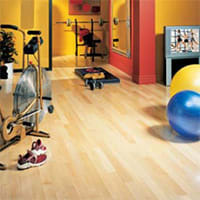 These floors offer added stability and a greater variety of design. 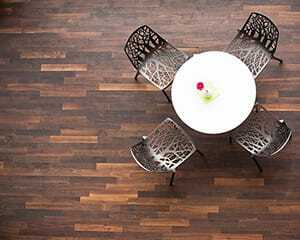 They are normally constructed with a base of multiple layers, using the chosen species as a top wear layer often to refer to as veneer, with a central core of either softwood or high density fibreboard (HDF) with a balancing spruce or birch plywood. 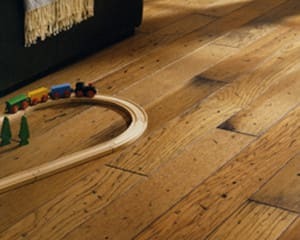 The thickness of the top wear layer on a quality engineered wood floor starts at 3mm to 6mm depending on the product which can come in various thickness from 14mm thick with a selected 3mm top hardwood layer to 22mm with 6mm top layer, this top real wood surface is sufficiently thick to take up to 5 sanding’s dependant on normal domestic conditions and thickness. 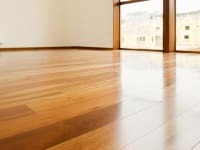 A great advantage of Engineered Wood floors is they can be installed in demanding environments like conservatories, sun rooms, and lower basements as well as being used with underfloor heating. 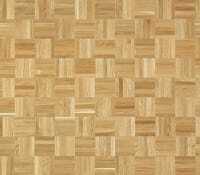 With such tight regulations and laws in place governed by the FSC and supported by governments of so many countries across the world the use of exotic woods that are protected like Merbau, Kempas, and Jatoba when milled/manufactured in an engineered format can be produced without the dramatic impact on endangered species from managed farmed forest. 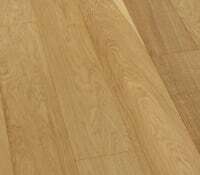 Engineered wood floors are generally installed as a floating floor which basically means the floor is glued /clicked together via the lip joints and laid on an underlay, engineered floors can also be stuck down if required using a wood floor adhesive as well as suitable for both wood and concrete subfloors. 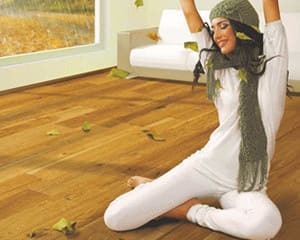 Now solid wood floors have been around for hundreds of years, psychologically solid wood floors will give you the assurance of a solid structure by consumers as being the better of the two wood floor structures and the reason for this is because it is solid in structure. 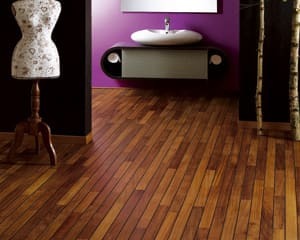 In principle these floors should be fitted by an experienced floor layer as wood is a natural product and is susceptible to dimensional changes due to moisture and humidity and as such each installation needs to be professionally assessed and the floor acclimatised before installation commences. 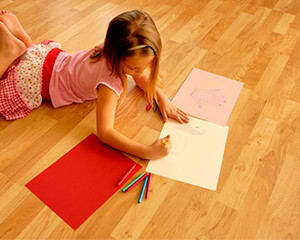 When being installed quality solid wood floors must be fixed down to the sub-floor so when installed on a wood subfloor the planks must be secret nailed or screwed down and when installed to concrete subfloor the use of a liquid damp proof barriers must be applied and then the floor is stuck down with the appropriate wood floor adhesive. 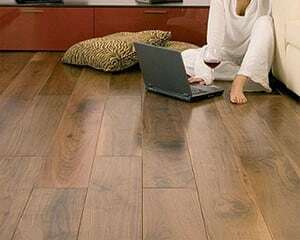 Solid wood floors are not suitable for use in conservatories, room below ground level or rooms with underfloor heating as the solid wood planks are more susceptible to over expansion due to humidity and moisture and can be very destructive.